This volume brings together sixteen articles on the religions, literatures and histories of South and Central Asia in tribute to Patrick Olivelle, one of North America's leading Sanskritists and historians of early India. This volume brings together sixteen articles on the religions, literatures and histories of South and Central Asia in tribute to Patrick Olivelle, one of North America’s leading Sanskritists and historians of early India. An exceptionally prolific scholar, Olivelle’s best-known works include ‘Manu’s Code of Law’ (2005), ‘The Early Upaniṣads’ (1998) and ‘The Āśrama System’ (1993). Over the last four decades, the focus of his scholarship has been on the ascetic and legal traditions of India, but his work as both a researcher and a teacher extends beyond early Indian religion and literature. 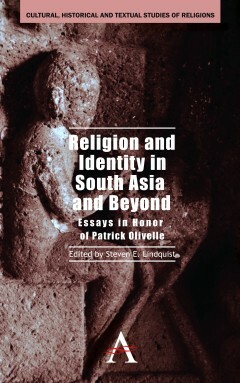 ‘Religion and Identity and South Asia and Beyond’ is a testament to that influence. The contributions in this volume, many by former students of Olivelle, are committed to linguistic and historical rigor, combined with sensitivity to how the study of Asia has been changing over the last several decades. Several of the essays examine the construction of religious and cultural identity (whether among Brahmins, Buddhists, Dalits or Muslims), while others are concerned particularly with problems of historical reconstruction and textual interpretation. Steven E. Lindquist is an Assistant Professor of Religious Studies at Southern Methodist University, Dallas, Texas, USA.